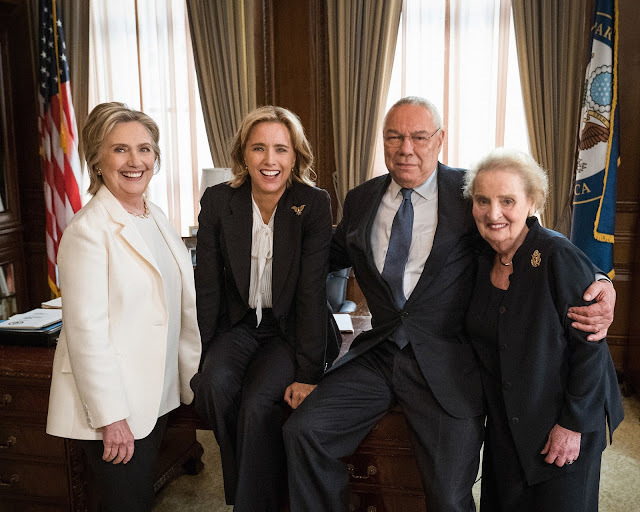 Fans of Sony Channel’s political series, Madam Secretary, will be in for a treat with the guest appearances of former secretaries of state Hillary Clinton, Madeleine Albright and General Colin Powell in the fifth season premiere that airs Monday, October 8 at 9pm (8pm JKT/BKK). In this unprecedented episode, Secretary of State Elizabeth McCord, played by award-winning actress Téa Leoni, turns to the former real life secretaries of state to ask their advice on how best to respond to a delicate situation. Madam Secretary returns on Monday, October 8 at 8:55pm on Sony Channel (unifi TV Ch 457).